The sun is shining, the weather is warming up, so it must be time to start barbecuing again. 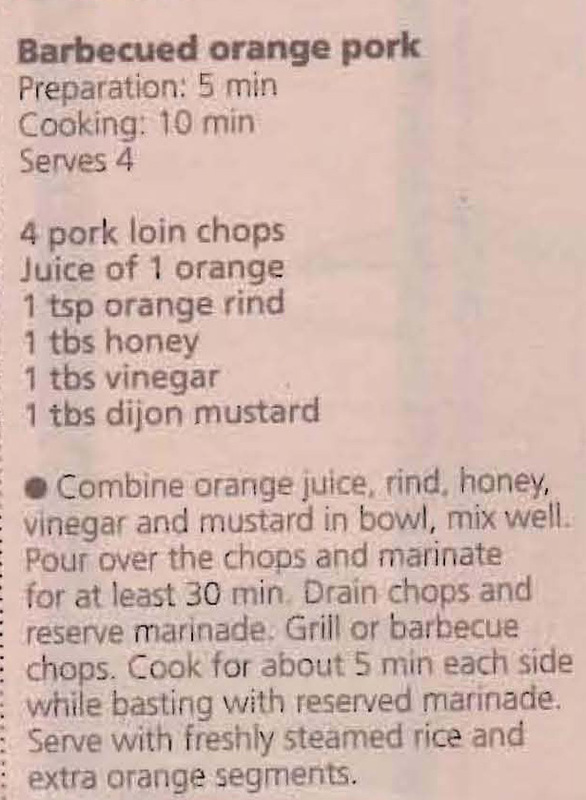 If like me you want a change from chops and sausages this pork recipe might appeal. This entry was posted in All Recipes, Main Dishes, Pork and tagged 1990s, barbecued orange pork, bbq pork, honey, mustard, orange, pork chops by bebsrecipes. Bookmark the permalink.